No Reviews! Your Mother Would Not Hire You. This should be every lawyer’s nightmare. The potential client has chosen you, goes to Google to get your phone number, and hangs up …. once they see that low or non-existent rating over on the right-hand side of the screen. That rating will make you more money than the biggest office at the fanciest address. Let me make it clearer. You could graduate from the best law school, have more awards than wall, a proven track record of collecting millions for your clients and lose it all because you didn’t ask a guy, you just gave a check to, to write a review. 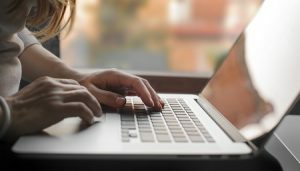 Studies consistently show that Google reviews dominate the field with about 60% of respondents choosing it as the most important review site when looking to hire a lawyer. 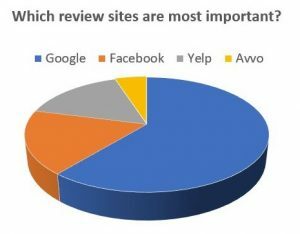 Other review sites like Facebook and Yelp received less than 20% each with Avvo in the single digits. Major Marketing Take Away: It doesn’t have to cost you a dime. Just don’t be afraid to ask for it. Simple and Cheap Solution: Draft a short email including a link to your review page or simply give your client a piece of paper that tells him or her what to do. Not all will do it, but some will. In fact, enough will to get you a 4 or 5 star rating. If you don’t mind screaming at an insurance adjuster, why wouldn’t you be willing to ask for a review? You can even have your receptionist do it as the client leaves. Want to be more sophisticated? Monitor the different review sites for lawyers and when one needs a boost change the link in your email or paper to direct the client to the appropriate review site. Here is the number one question I get from lawyers about this topic: How do I get negative remarks off? You can’t. What you do is bury it under an avalanche of positive reviews. Just don’t do it all in one day. It smells of desperation and you are not fooling anyone …. the potential clients or the review websites.